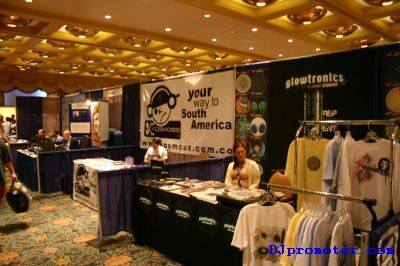 This is the first in a photo series from the Miami Winter Music Conference 2005, which ran from March 22-27. 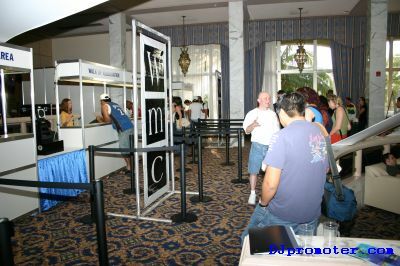 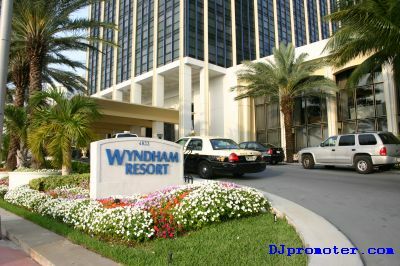 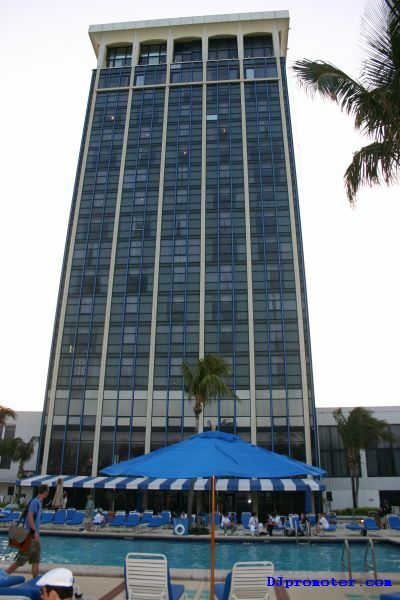 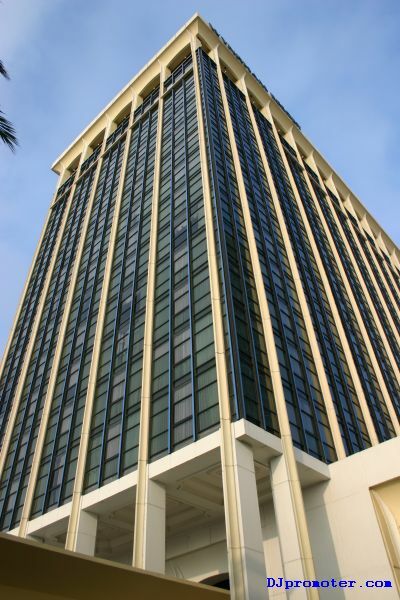 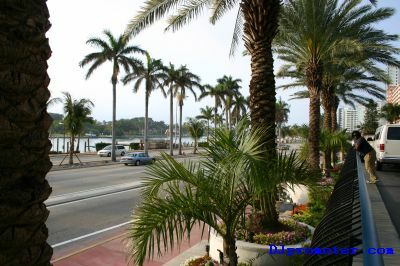 The conference, celebrating its 20th anniversary, was once again held at the Wyndham Beach Resort in Miami Beach. 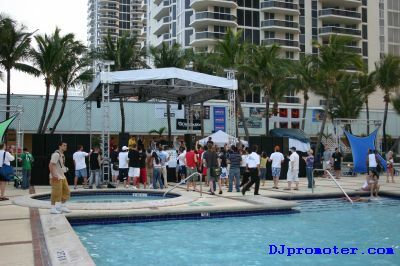 No matter what your role or interest is within the dance and electronic music industry, you should find something of interest during WMC week. 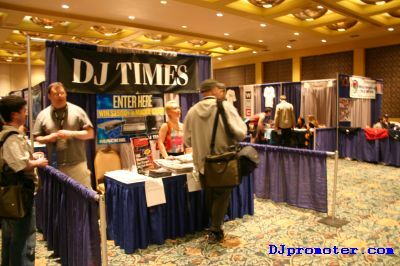 The daytime schedule includes seminars covering a wide range of subjects, an exhibit area, demonstrations, workshops, and open demo sessions where artists/producers have the opportunity to air their music to a panel of critics. 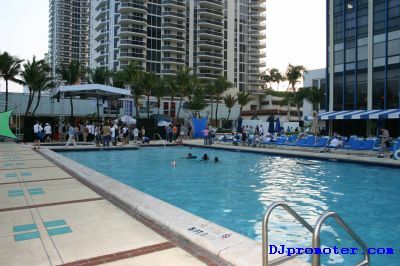 There are also daytime pool parties held all over Miami Beach, and indeed the Wyndham Beach Resort itself hosts a pool party every afternoon. 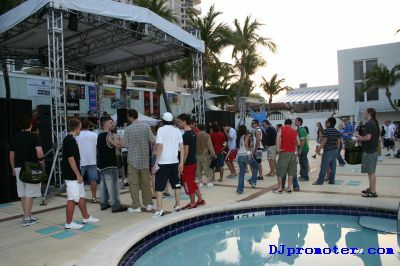 Then when darkness falls, there are events and parties held all over Miami Beach and Downtown Miami, some of which have free or discounted entry to WMC badge holders. 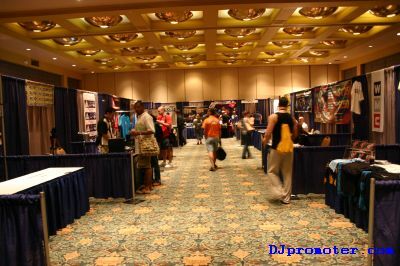 So whether you are there for business or pleasure, or even both, you should have a highly productive and enjoyable time during WMC week. 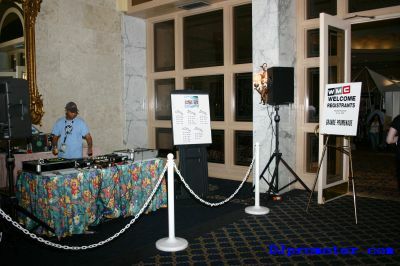 WMC and Stanton FinalScratch Cocktail Party featuring Chris Liebing. 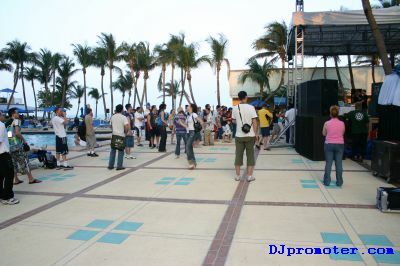 Liebing on the decks using FinalScratch 2. 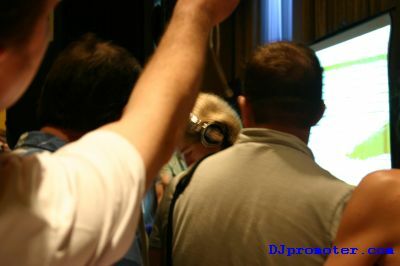 Believe it or not this last photo is of James Zabiela demonstrating the Pioneer DVJ-X1, a demo run in conjunction with DJ Times Magazine. 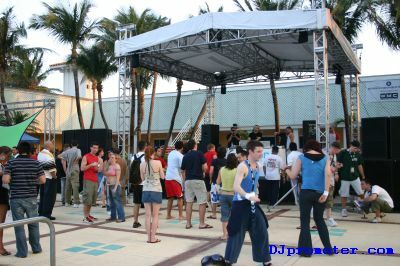 Apologies for such a poor image, but it was almost impossible to get a decent image through the crowd of people who were watching, and this was the best photo we got out of about 20 shots!